Thank you to everyone who joined in the fun with our color challenge. 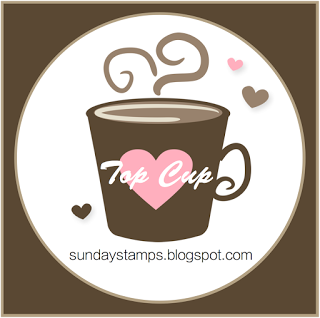 You all rocked the projects with the rich autumn colors and as always the Sunday Stamps DT had a great time checking out your blogs! Thank You For Picking My Card!! Thank you so much, Claire! I'm honored! Mwah! And congratulations to all the other Top Cups!